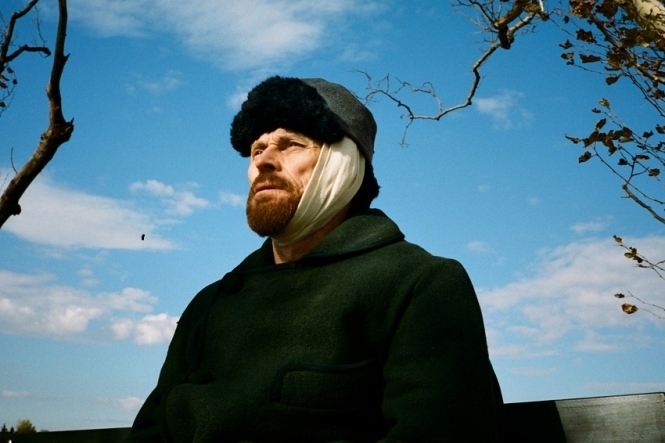 “Sometimes they say I’m mad but a grain of madness is the best of art,” says Vincent van Gogh in this superb biopic, made all the more compelling by Willem Dafoe’s sublime turn as the Dutch painter who spent his last days in a depressive spiral in northern France. Previous screen portrayals by Kirk Douglas (1956) and Jacques Dutronc (1991) were hard-hitting but none quite so affecting the Oscar-nominated Dafoe’s, perhaps because director Schnabel – whose 2007 film The Diving Bell and the Butterfly was also a critical triumph – brings an artist’s sensibility and focuses on the aura of a creative genius. The light, the skies, the paint and the countryside in which Van Gogh endlessly walked, easel strapped to his back, all frame the artist’s depressive pain – Schnabel is primarily interested in the art itself, from the creativity that emerged from Van Gogh’s sense of being different. The time-hopping, episodic narrative works well: from Paris where Vincent has a close bond with his younger brother Theo, and where he meets Gauguin (a brilliant Oscar Isaac), to the sunny south of France where Vincent hits his creative peak – they feel like a series of paintings. “I paint what I feel and feel what I paint,” was Van Gogh’s MO and this film conveys the ethos superbly. The fallout of a man’s discovery that a priest who abused him is still working with children make for an unusually heavyweight subject matter for François Ozon.